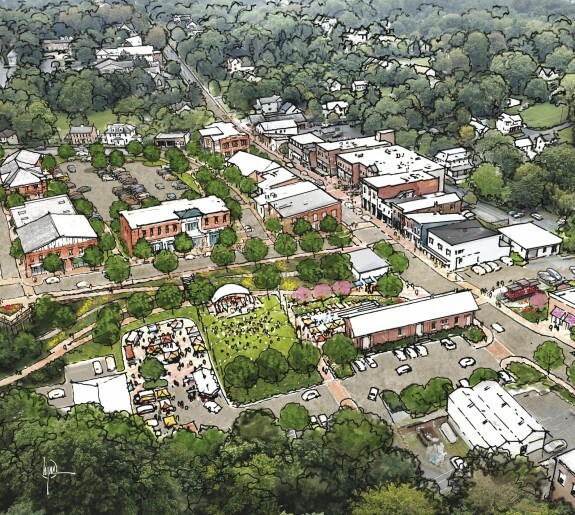 Design Collective facilitated a week-long public design charrette in Old Town Alexandria to envision, plan, and prepare a conceptual design for John Carlyle Square. 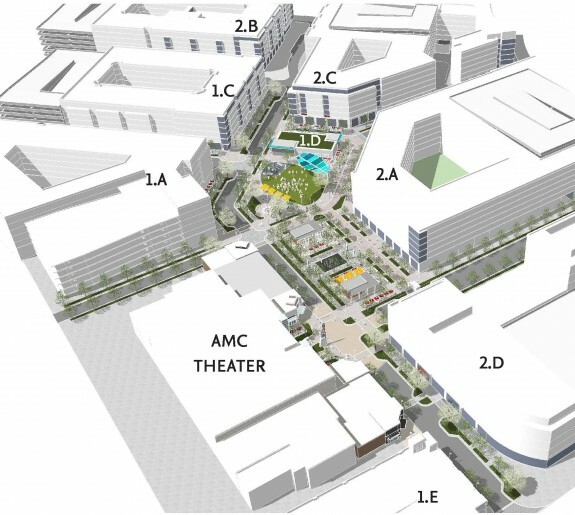 At that time, the "square" was a vacant, underutilized lawn, encompassing an entire block in the "heart" of Carlyle; a 7 million SF mixed-use development. 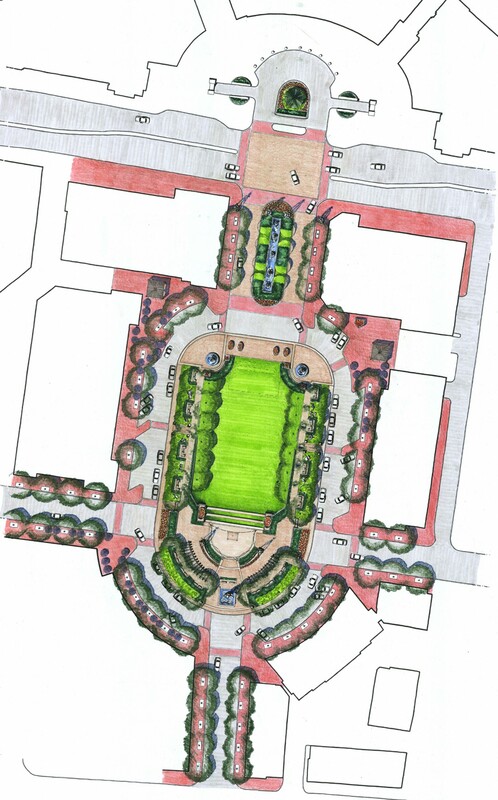 As part of the master plan for Carlyle, this square was "set aside" for a major public park. 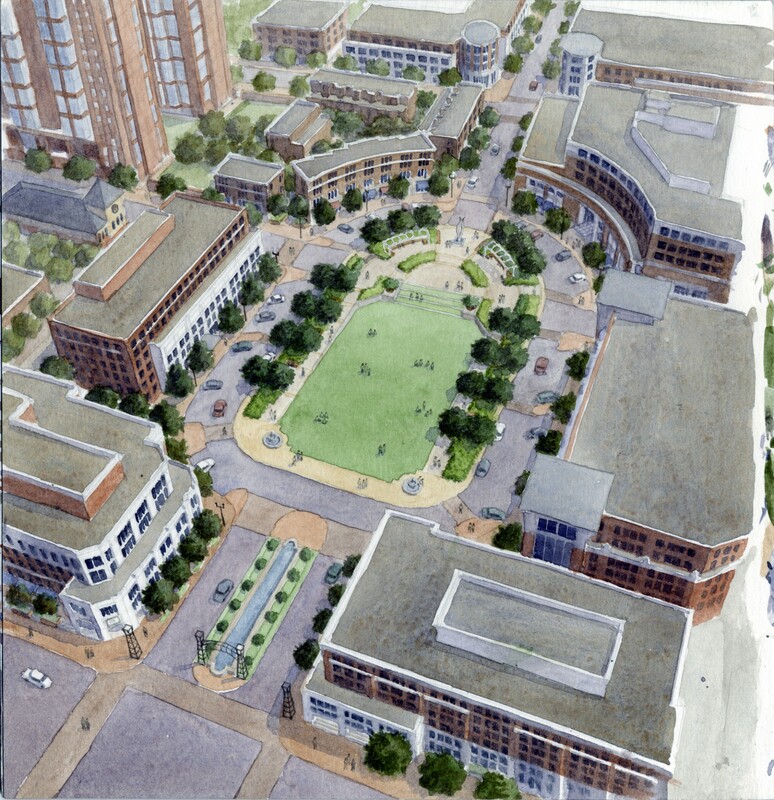 Design Collective was commissioned by LCOR, Carlyle’s owner and master developer, to prepare a conceptual design for the park. 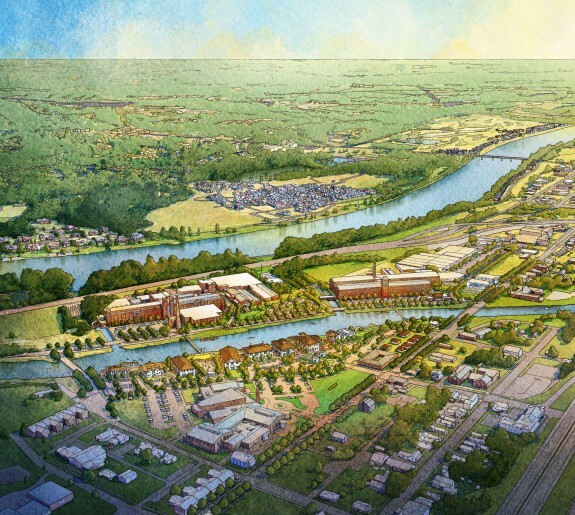 Design Collective, as planner/urban designer/landscape architect, led the planning, visioning, and design efforts, with support from City Activators and Karin Bacon, who led efforts during the charrette regarding programming, events, festivals, and markets. Public input during the charrette suggested a traditional urban square woven into the city fabric, aligned with shops and retail to activate its edges and connect to the neighborhood. John Carlyle Square is designed to be flexible. The park includes a stage and a major lawn to accommodate major events and concerts, weddings and receptions, and large gatherings. 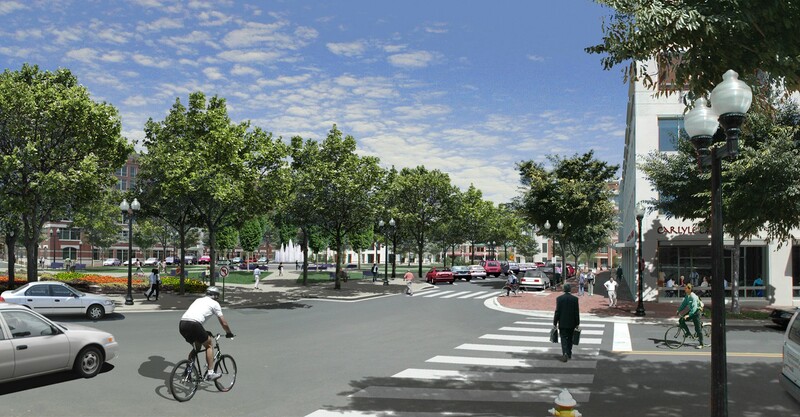 The square’s perimeter includes a wide promenade, shade trees, and seating "niches" that accommodate art shows, markets, and spontaneous social interaction. Infrastructure supports sound, electronics, and mechanical needs for a variety of events. Today, John Carlyle Square is managed by the City of Alexandria Department of Parks, and has been the setting for such city-wide events as ethnic festivals, concerts, running and triathlon staging, restaurant week, festivals and markets, art shows, high school events and choirs, weddings and receptions, food truck events, and more.